Yesterday [02/26/2015], the institution launched its first scholarship competition, open to music students. The Cultural Foundation, Latin Grammy scouts in Bolivia and 23 other countries of this continent. To that end, the institution announced yesterday [02/26/2015] its first scholarship competition open to students of music to encourage the artistic development of the “next generation that will continue the legacy of Latin Music”. “This is an initiative of the foundation that was created last year when the Latin Recording Academy celebrated its 15th anniversary and looking back to society part of what it receives through incentives,” said Manolo Diaz yesterday, vice president of the Latin Grammy Cultural Foundation, based in Miami, United States. The program includes 33 scholarships for students of Latin music divided into two types: the Talent Scholarship and Tuition Assistance for a total value of $600,000. The first provide financial assistance to three music students, the upper institution will receive the Cultural Latin Grammy Foundation up to $25,000 for the four-year career. The second, will help financially 30 students, whose study centers will receive up to $10,000 for their college tuition. 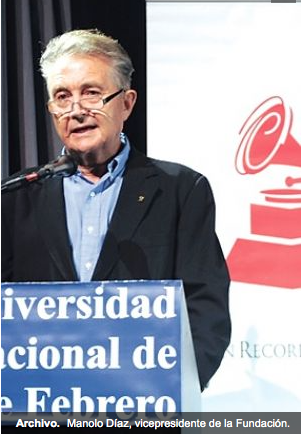 Diaz, with a long career in the music industry, said a committee of musicians will select the winners, to be announced on June 8, between those who “demonstrate financial need and have a real commitment to the development of latin music”. “Music is like math, is complex, perseverance and enthusiasm to excel in an industry that has broad possibilities is needed,” said the executive, who said that soon grants for research and preservation of Latin genres will be announced. So, dear Bolivian musicians, you already made us proud, now its time for you to continue to move forward and grab this opportunity!